Sometimes the best-laid plans give way to a happy accident that can change the course of your life. Emmanuelle Wambach was diligently undertaking a pre-med major at Swathmore College when someone advised her to take a course that would relieve stress. That ended up being a ceramics class, and it didn’t take Emmanuelle long to realize that this was her true calling. As a result, she changed her major to Art, setting her on a path she follows today, of crafting beautiful ceramics. Emmanuelle has spent the last 10 years continuing her education and honing her craft. She was awarded a Post-Baccalaureate Certificate from the Pennsylvania Academy of the Fine Arts and earned a MFA from Indiana University of Pennsylvania. 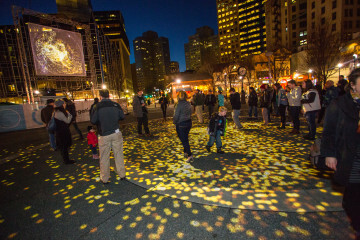 Emmanuelle is a firm believer in the power of learning through your surroundings and more deeply through the world. This belief led her to undertake an artist-in-residency program at the Shigaraki Ceramic Cultural Park in Shiga Prefecture, Japan. That allowed her to deepen her knowledge of the history and influence of Japanese ceramics on the world ceramics stage. Proving that everything eventually comes full circle, she is now sharing her knowledge and passion with others, teaching classes at Ton Pottery in Millvale, as well as being a teaching artist and co-op member at the Union Project. Eventually, Emmanuelle was introduced to MonMade. 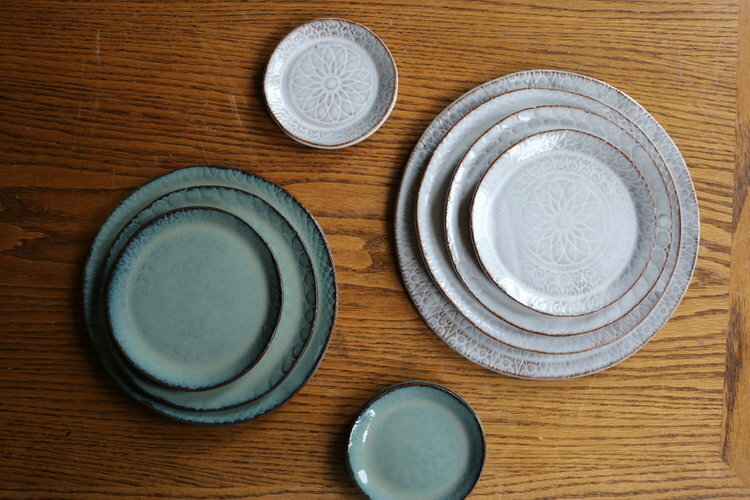 At the time, she had become deeply interested in developing plates and place settings. Through a grant provided by MonMade, Emmanuelle had the opportunity to take this interest to the next level. She began experimenting with unique textures and glazes, eventually hitting upon a line of work that she fell in love with and wanted to further develop. 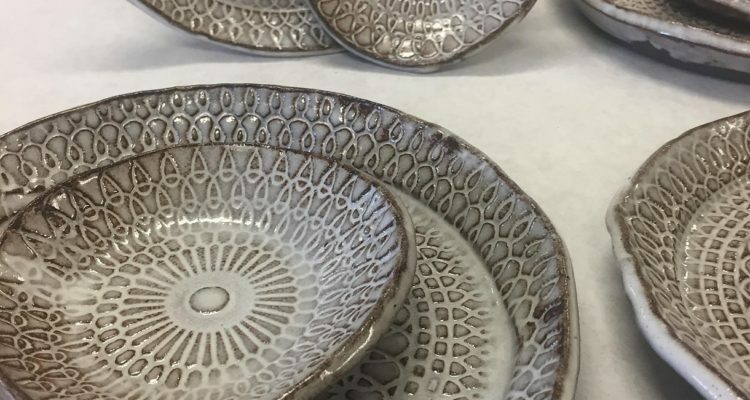 At the new store, PG&H, which is dedicated to locally produced home goods, Emmanuelle is debuting this line of beautiful, white-glazed, brown stoneware plates that are crafted by impressing lace patterns into the stoneware. 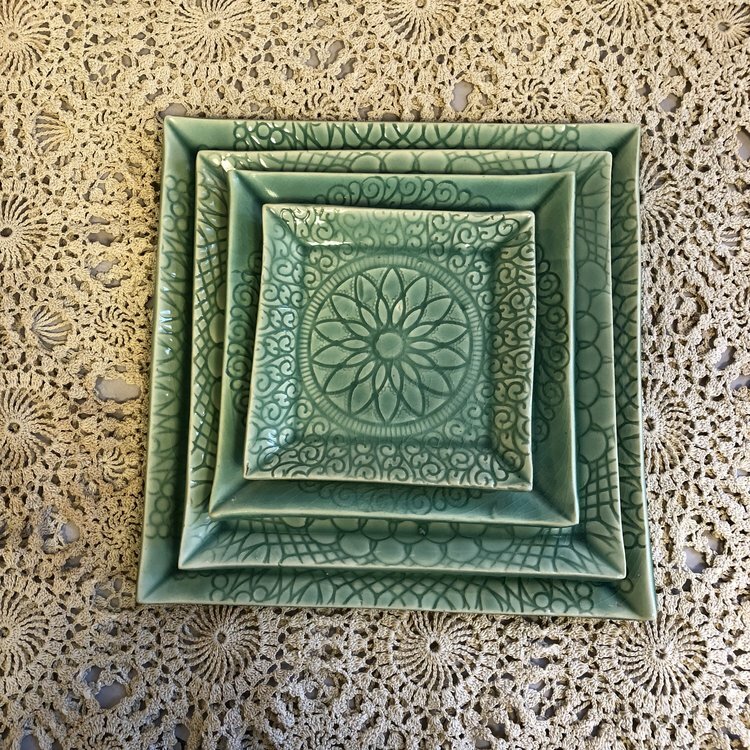 The line is also available in beautiful deep green hues, which come in both circular and square dishware. Additionally, she will undertake custom orders where clients can choose shapes, glazes, lace patterns, and more. Emmanuelle Ceramics are available at PG&H, one of Downtown’s newest retail location. 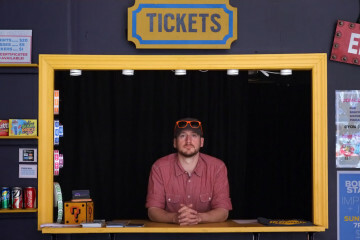 PG&H has joined a growing number of Downtown retailers focused on locally produced items, including, Moop, love Pittsburgh, Steel City, among others. Ceramic plate set by Emmanuelle. What is unique about PG&H is the focus which is solely on locally produced home goods. Not only a retail outpost, PG&H serves as an inspiration showroom inviting architects, designers, restauranteurs, and others to consider how to integrate locally made, high quality, beautiful products into their projects. The space, located at 536 Smithfield Street, below Mellon Square Park, serves to reinvigorate a well-traveled corridor with a showroom unlike any other. In addition to home goods by Emmanuelle Ceramics and more than 40 other local producers, the space is also home to the second location of Oakland’s much loved Redhawk Coffee, turning a lens towards another locally produced product. 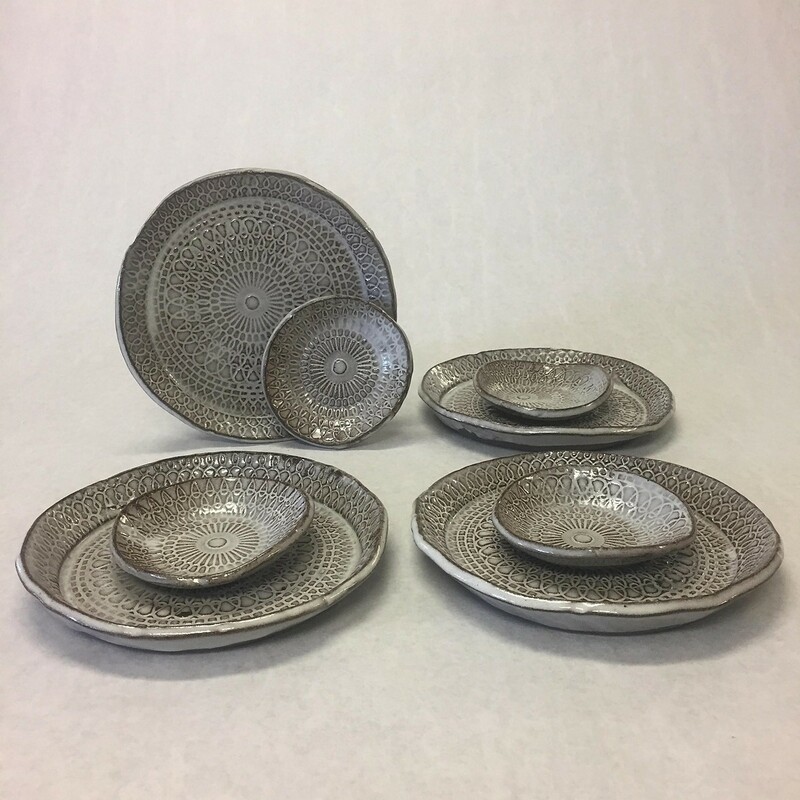 To learn more about Emmanuelle’s craft and to see where else she may be popping up in Pittsburgh, be sure to visit her new website emmanuelleceramics.com and follow her on Instagram: @emmanuellewambach. To learn more about PG&H, its producers, Redhawk Coffee, and more visit ShopPGandH.com.